The month of Av is the eleventh month on the Hebrew civil calendar and the fifth month on the Hebrew biblical calendar. This corresponds to July/August for us. Av literally means “father” (aleph-beht). It is customary to add the name Menachem to Av, which means “comforter” when speaking about this month because it is associated with many tragic events, yet our Father brings us comfort. Thus, many refer to this month as “Menachem Av” (Comforting Father). We will explore this in more detail below. History and tradition records many events where the Children of Israel’s “hearing” was tested in the month of Av. Sadly, the testimony is usually a lack of hearing which resulted in great judgment. Consider the following list that is said to have occurred on the ninth of Av or Tisha B’Av. World War One broke out on the eve of Tisha B’Av in 1914 when Germany declared war on Russia. German resentment from the war set the stage for the Holocaust. These details from history makes one wonder if the timing of these calamities is mere coincidence. Does the LORD have an appointed time to “break” us? According to Jewish tradition, He does and that date is associated with the ninth of Av. Reread the verse from Lamentations quoted at the beginning of this post. In Hebrew, YHWH indeed has a “moed” or appointed time to break His wayward people. The LORD allows these calamities to come upon those that are His in order to bring them to repentance. It is our rebellions, shortcomings, and stiff-necks that provokes His hand against us. Like any loving parent, YHWH uses punishment in order to guide, teach, and protect His children. And like Him, we often set aside a particular time to mete out certain reprimands to our own children. Though the month of Av is connected with judgment and tragedy, it is equally linked to God’s mercy. The good news is that even when we are stiff necked or have closed ears, YHWH still loves us. So, though the focus of Tisha B’Av is denying oneself and repentance, there should be a transition in the observer that moves the soul from mourning to celebration. We may grieve over past tragedies and rebellions, but our hope is always in the Menachem Av (Comforting Father). It is His divine mercies that give us a hope for a good future. This is the essence of Tish b’Av. Remember the past, but move forward with an attitude of gratitude and a burning hope for a better future. It seems that most every Word from the LORD leads us back to the two greatest commandments: Love YHWH and love your neighbor. You want to really listen? You want to really hear the LORD? You want “ears that hear”? The Torah, the commandments, and the Word teach us how to love YHWH and our neighbor. We only must heed His voice. Shimon, as the tribe of Av, and the name associated with hearing, has much to teach us this month. Let’s see if we can learn from Shimon’s and his descendant’s mistakes. I find it fascinating that the man whose name means to “hear” seemed to often have closed ears. It seems ironic, but is it? Are we any different? Notice that Jacob’s rebuke is similar to YHWH’s edicts against us when we are wayward. Exile, or scattering, is one result of sin. Shimon and Levi acted in unholy anger when they attacked the Shechemites. We must be careful when someone kindles anger in us (right or wrong), for more often than not, we become the greater sinner when we allow our actions to be ruled by inflamed flesh. A reddened face full of rage makes us more like an Esau (red) and no better than a hairy beast. This will only bring wrath upon our own head and division in our camps. Again, we see the one that should have had ears to hear, given over to the passions of the flesh. Instead of boiling with anger, this time we see a Simeonite inflamed with a perverted sexual desire. Can you see a pattern developing here? The one that should have ears to hear is deaf to the instructions of the Creator. He is ruled by desire, his lower nature, making him no better than a beast of the field. Unlike the other tribes (save Levi), Shimon didn’t receive a separate neighboring portion in the Promised Land. Instead, Shimon was scattered in various towns and cities within Judah’s allotment. Jacob’s rebuke held true for both Levi and Shimon. Some of our actions have long lasting and dire consequences, even though we have found forgiveness. This leads us back to the other themes for this month (Av): mourning, repentance, remembrance, and finally, joy. The good news is that one day, YHWH will turn all of our fast days into joyful celebrations for those that love truth and peace. Interestingly, there is only one person that the Torah records the exact date of their death. That man was the High Priest, Aaron. Aaron passed from this life on the new moon of the fifth month of Av. It seems that from this point forward, Av would be associated with mourning. Since Aaron is directly connected to the Tabernacle and later Temple, I find it incredible that both Solomon’s and Herod’s Temples were later destroyed in the very month that her original High Priest passed away. There are many reasons for us to mourn these losses, but there are also reasons to wipe our tears and look forward to a better hope/future. The move from mourning to celebration is mirrored in the traditional haftarah reading for the Shabbat following Tisha B’Av. This Sabbath is called “Shabbat Nachamu” or the Sabbath of Comforting. 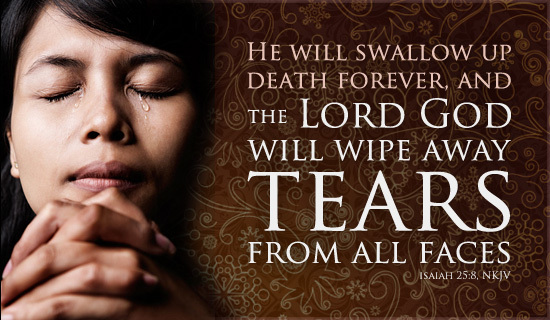 The haftarah reading is from Isaiah 40: 1-26 and speaks of comforting God’s people after their suffering. Moreover, by the time the moon gets full during the month of Av, another traditional holiday emerges: Tu B’Av (fifteenth of Av). After all the mourning of Tisha B’Av, the people began to rejoice. Like the ninth of Av, there are several events that are associated wih this date in history; but instead of destruction, this date brought great reprieve and comfort to the people. 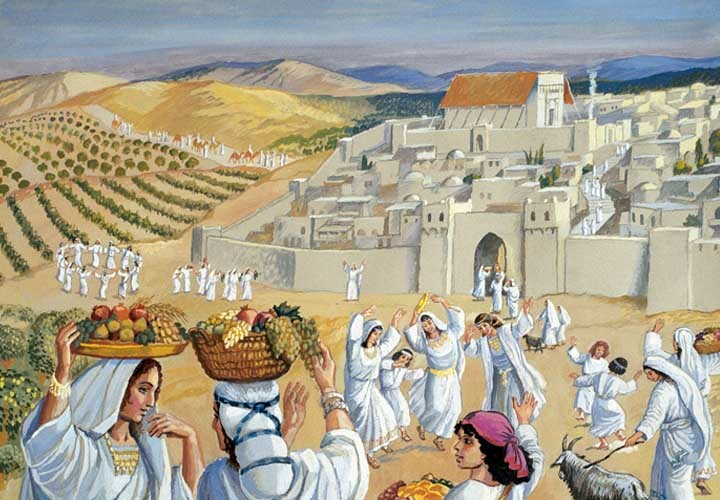 The first mention of Tu b’Av is in the Mishna (Taanit), where it says , “There were no better days for the people of Israel than the Fifteenth of Av and Yom Kippur, since on these days the daughters of Jerusalem go out dressed in white and dance in the vineyards. What they were saying: Young man, consider who you choose (to be your wife).” (Taanit 4:8). According to the Gemara, on this day the “tribes of Israel were permitted to mingle with each other” (Taanit 30b). The daughters of Zelophehad were granted an inheritance like sons. King Hosea, the king of the Northern Kingdom, removed the restrictions of King Jereboam prohibiting the northerners to make pilgrimages to Jerusalem. The Romans permitted the Jews to bury their dead who fell at Beitar. As you can see, the month of Av ebbs and flows with the themes of destruction (judgment) and renewal. While Jews refrain from marrying during the mourning period of Av, the later part of the month, beginning with the fifteenth, marks a strong transition in their countenance. So much so, that many do marry on or just after this date. (Or new courtships are started.) This is the epitome of mourning turning into joy! As such, Tu B’Av is said to be a festival of love— quite a contrast to Tisha B’Av. I encourage you to do your own research on the Chodesh Av, Tisha B’Av, and Tu B’Av. There is a wealth of information at your fingertips you need only use them. 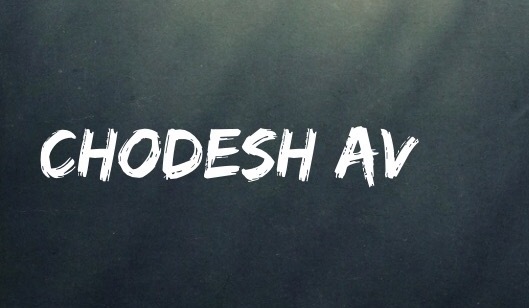 For now, I thought it best to leave you with a few bullet points for ways to celebrate and meditate during the Rosh Chodesh of Av and the fast of Tisha B’Av. Major theme: Destruction and Renewal. Meditation: Hear (Shema) the voice of Adonai. Discern between the voice of YHWH and the desires of the nephesh (flesh). Remember: The Tabernacle, fallen Temples, and other rebellions of the past. Learn from them. Look Forward: To our heavenly High Priest, Yeshua, the third Temple, and the eventual New Jerusalem. Confess the sins of our forefathers. (Remember that many of the atrocities that happened to the Jewish people on Tisha B’Av came by the hand of Christians.) Daniel 9 gives us a model of confessing the sins of others. Search for Scriptures that speak about God’s mercy on His people and/or texts on fasting and repentance. For more understanding of why nine (Tisha B’Av) is associated with both judgment and blessings click here and here. For more on the significance of five, as in the fifth month and fifteenth day (Tu B’Av), click here and here. For the month of Av being associated with Shimon, see Artscroll’s Wisdom in the Hebrew Months. Dt. 33. Shimon is absent from the blessings. It appears to me that Judah takes authority and care over the Simeonites. This is likened to Yeshua taking care of and covering us for our sinful mistakes. In other words, we didn’t “shema”, hear. This is NOT astrology! The enemy has twisted the monthly constellations into a perverted way to divine the future and/or disposition of a person. But, YHWH says the stars were put in the sky to mark the seasons (moedim), to be as signs, to distinguish day and night, and to give LIGHT upon the earth. The heavens declare the glory of God. This includes the stars and the constellations. A careful look at the Creator’s handiwork will reveal that the constellations proclaim the Gospel, and were never meant to divine your personal finances, love life, or the like.